Sylacauga, AL - Funeral service for Marc Shultz , 59, will be Thursday, November 29, 2018 at 2:00 p.m. at Radney-Smith Chapel with Bro. Harold Meherg, Bro. Keith Dennis and Bro. Vern Ogle officiating. Burial will be in Evergreen Cemetery in Sylacauga, AL. Mr. Shultz died Monday, November 26, 2018 at Brookwood Medical Center. He was preceded in death by his mother, Barbara Shultz, and grandparents, Ed and Elizabeth Shultz, Rev. Henry H. and Gladys Hardy. Mr. Shultz was a graduate of B. B. Comer High School and CACC. He was a member of Overbrook Assembly of God. 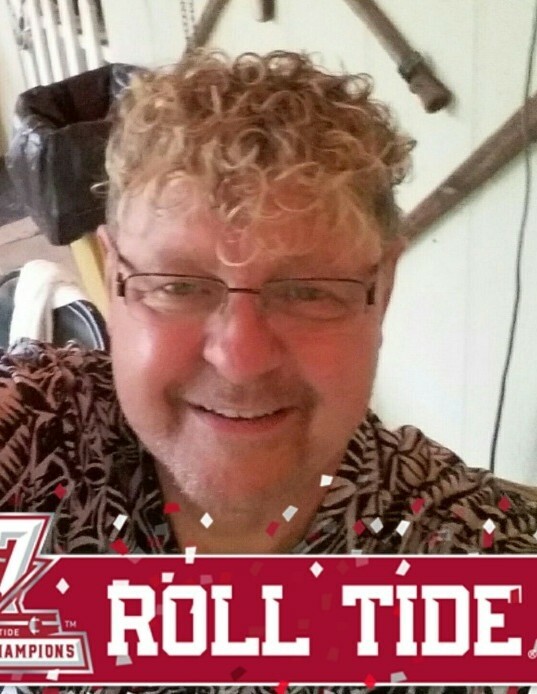 Marc was an avid gardener and a die hard Alabama fan. He was dedicated to his parents, a loving son and friend, he loved life and joking with co-workers. He is survived by his father, Charles Shultz; three special friends, Raven Smith, Triston Smith, David Goss; furbaby, Ruby; and several aunts, uncles and cousins. Visitation will be Wednesday, November 28, 2018 from 5:00 p.m. until 8:00 p.m. at Radney-Smith Funeral Home. Pallbearers will be Raven Smith, Triston Smith, David Goss, Bruce Livingston, Mike Wesson and Johnny Cleveland.